A compact jaw rotate assembly it is fitted to all the light and medium duty arms in the HLK range. 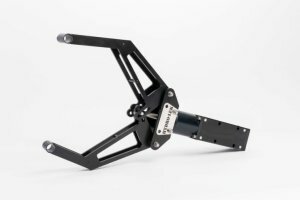 Constructed from 316 SS and HE 30 aluminium, it derives its rotation via a 13 NM rotating Rack & Pinion. 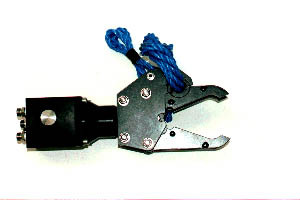 The jaw open mechanism also drives a 19mm diameter rope cutter. The jaw yolk also incorporates a slot to accept a 1/2" "T" bar when the jaws are closed. Weight 3.5 Kg in water. 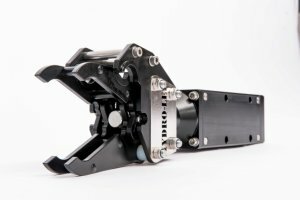 A robust jaw rotate assembly comprising 316 SS jaws which open to 154mm with and uses a Gerola motor to enable continuous rotate. A heavy duty grabber of 316 SS/HE30 Aluminium construction capable of gripping pipe of up to 320mm diameter and uses a Gerola motor to enable continuous rotate.